Rendering of invited design concept for crosswalk installation in downtown Evanston, IL. Rendering of invited design concept for temporary installation around Fountain Square construction site, Evanston, IL. Grow transforms built world elements into organic, growing foliage. Realized in chalk, the piece is an ephemeral installation, consistent with the constant change and transformation we find in nature. Living well in urban settings requires new ways of seeing beauty and staying connected to the natural world. 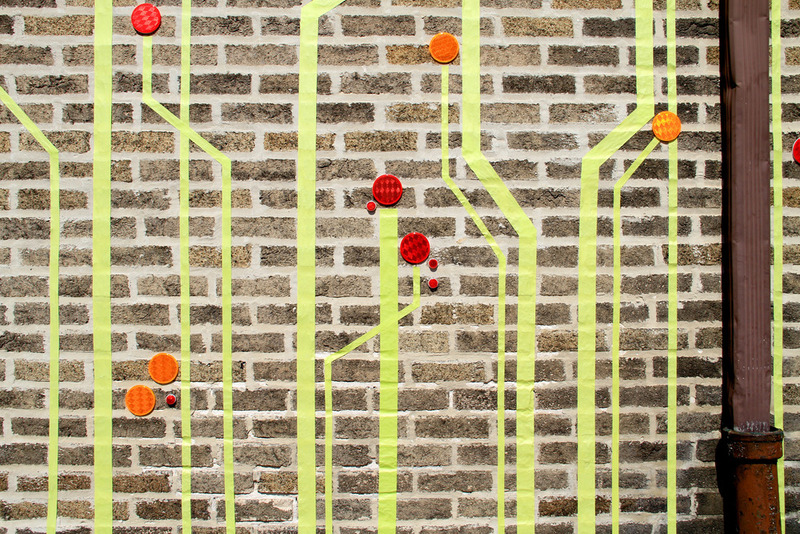 Re-imagining urban spaces for Evanston Streets Alive 2016. Glass and paint float across this masonry building to create a moment of surprise and discovery in the streetscape. Playful re-imagining of lines from the built world as organic, growing elements. 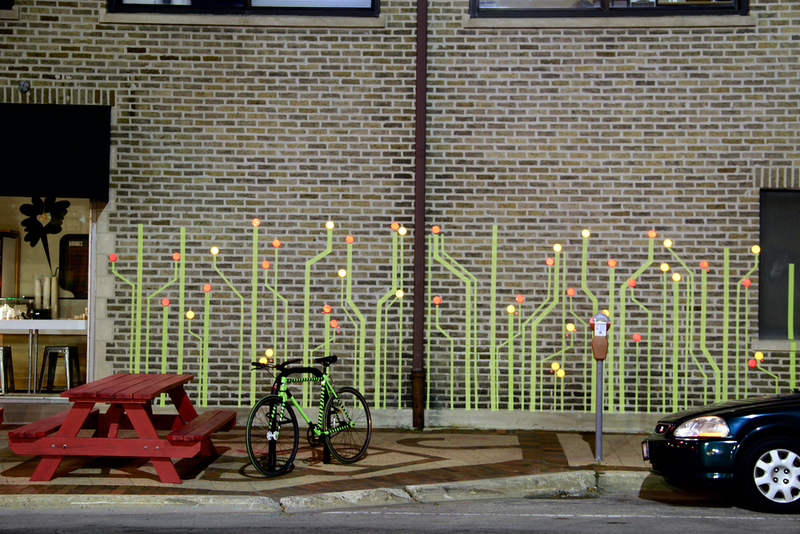 Functional materials--masonry tape and reflectors--are re-purposed to create a new experience in the streetscape. A different experience at nighttime as reflectors shimmer in ambient light of passing vehicles and streetlamps.